This super cute apron is a cinch to make! 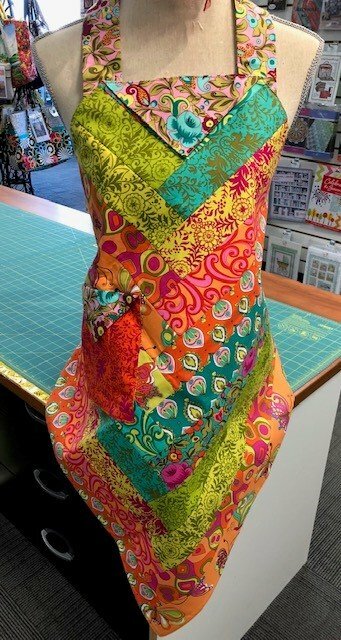 Picking your fabric or grabbing a jelly roll will change the look and feel of this fun and classy apron! This can also be completed with a solid fabric for a not so busy look! Beginner to intermediate skill level.